GET READY FOR THE 3RD ANNUAL ATOMIC CITY ADULT HOCKEY TOURNAMENT!! Check out Los Alamos Atomic City Winter Classic Hockey Tournament below and under Facebook Events for more information. There will be up to 14 teams split into 3 divisions. “A” level is the highest level of rec hockey which includes players who have experience in juniors, college, or the professional level. The teams in the A division will be mostly comprised of players that fall within 1, 2, and 3 levels below. “B” level includes players below the “A” level which are the top intermediate players for most rinks. If greater than 50% of your team does not fall into levels 1, 2, and 3, it is recommended to register in the B division. “C” level includes intermediate players for most rinks. All players must be 18 years of age and older and be registered with USAH. The cost is $800 per team and includes a minimum of 3 games with a possible 4th game for the championship. We will do whatever we can to ensure all teams can play a minimum of three games, however, being an outdoor rink, the games may be subject to delays, shortening, or cancellations depending on the weather. Entry deadline is Monday, December 24, 2018. However, the event is first come, first served and any division(s) could be closed earlier based on the number of teams entered overall. The first four teams at each level will be accepted. The fifth team will not be confirmed until a 6th team is able to be added to that division. I will coordinate with captains to determine possible shifts between divisions. Teams withdrawing from the tournament after the 2 week deadline (1/4/18) will forfeit their entry fee. Any changes to the roster must be submitted within 3 days of tournament start date (1/15/18). Tournament registration/roster (attached) including players USAH number. I will forward this information to a USAH registrar who will generate a 1-T form to verify registration. I am waiting to hear back from USAH to confirm this but will advise the captains if there is a change in this process. Mail a check for $800 made out to “Los Alamos Hockey Association” to Elizabeth Johnson – 80 La Cueva St, Los Alamos NM 87544. Your team's spot will be reserved once payment is received. 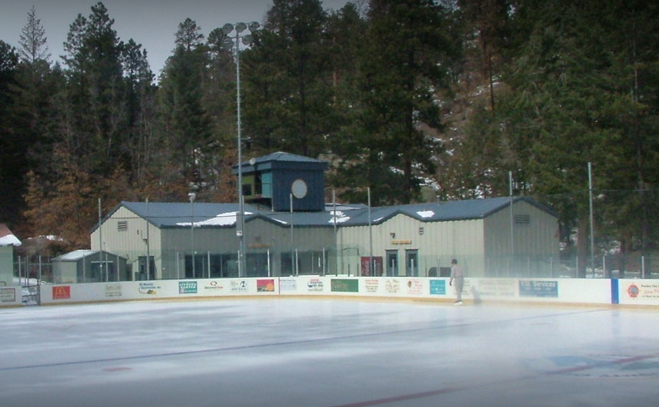 Los Alamos has a free public transport system; however, it is only available Monday through Friday and does not pass the rink. Please ensure transportation is arranged prior to arrival. I recommend encouraging your team to book their hotel rooms ASAP. There are only two hotels in Los Alamos and one in White Rock. I also included a casino/resort located outside Los Alamos. All hotels rooms/rates are dependent on availability so book early! Our local co-op will be providing hot food throughout the tournament. Currently, they are only able to accept cash and check. We will have a beer garden for those 21 years of age and older sponsored by Bathtub Row Brewery. This event is permissible for spectators and players post-game. Alcohol is not allowed to be consumed by players PRIOR to playing. If a player steps on the ice after consuming alcohol, USAH will not cover any injuries that occur (see USAH insurance statement below). Additionally, it is at the discretion of the referees to eject any player from the game that they suspect are intoxicated without challenge. If players and spectators are unable to abide by this policy and behave in a civilized manner both on and off the ice, the beer garden will not be provided in the future.